It's late. So tired and only the second day. Officially, I mean. Painted three paintings today. Not exactly an overwhelming effort for me these days but I still haven't acclimatized to the altitude here. Was in better shape last year. After that I drove into town and had a quick lunch. 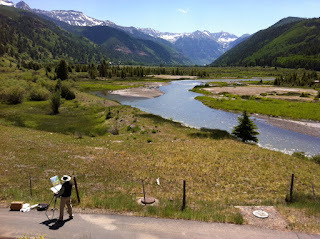 Then went to paint a creek running down into the old mine. (no picture yet). A big wind storm blew up so I had to tear down. I hear tomorrow will have thunderstorms mid-day. 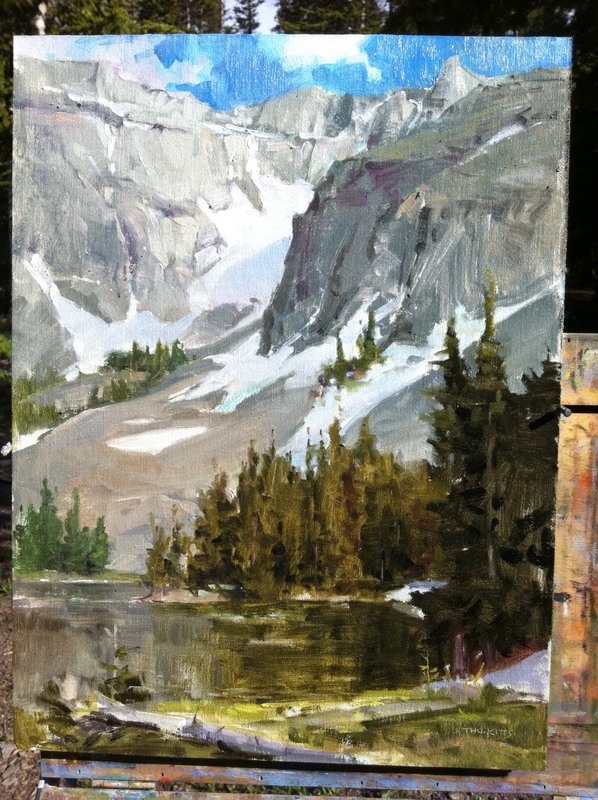 So I decided to go back up to Alta Lakes and knock out an afternoon painting at 11,300 feet. It might be my favorite painting yet. Hai-Ou and Jim Wodark joined me. Hai-Ou has never been up that high up so I kept an eye on her. She did fine. All of us ended up with some awesome paintings. 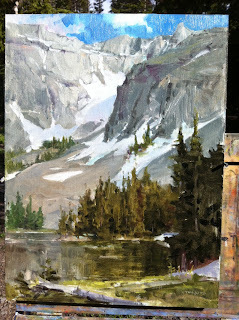 Here is a crappy washed out cell phone photo taken in the field before I headed back down to a reasonable 9,000 feet. Thomas, even though this is a cell phone pic, it still reads wonderfully! Altitude will take your breath away, if not the scenery. Enjoy!